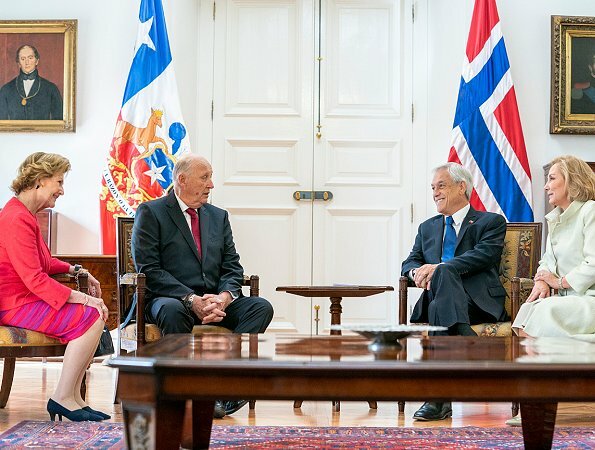 King Harald and Queen Sonja are making a state visit to Chile on March 26-31 upon the invitation of President of Chile Miguel Juan Sebastián Piñera. 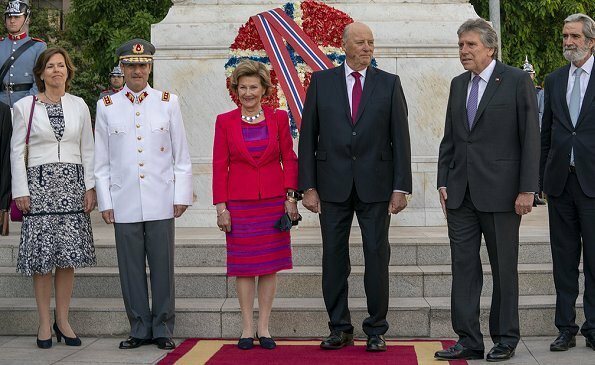 On March 27, The King and Queen laid a wreath at the Bernardo O'Higgins Monument. 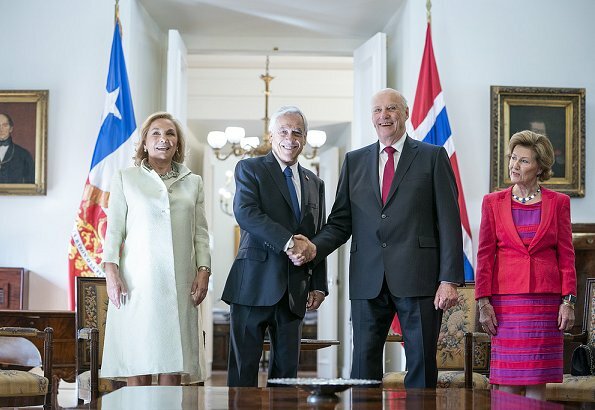 Afterwards, The King and Queen met with President Sebastián Piñera Echenique and First Lady Cecilia Morel de Piñera, and attended an official luncheon at the Presidential Palace. 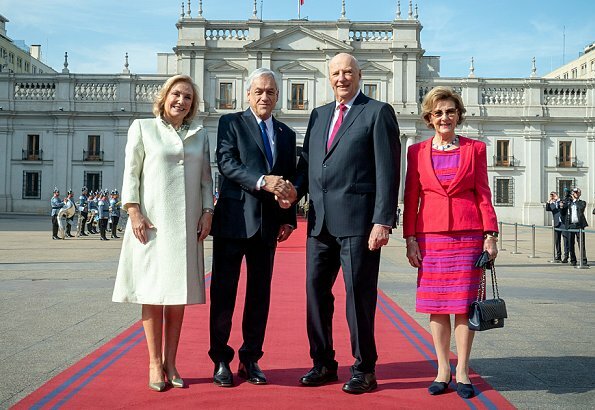 Then, The King and Queen visited the Supreme Court of Chile and the National Congress of Chile. 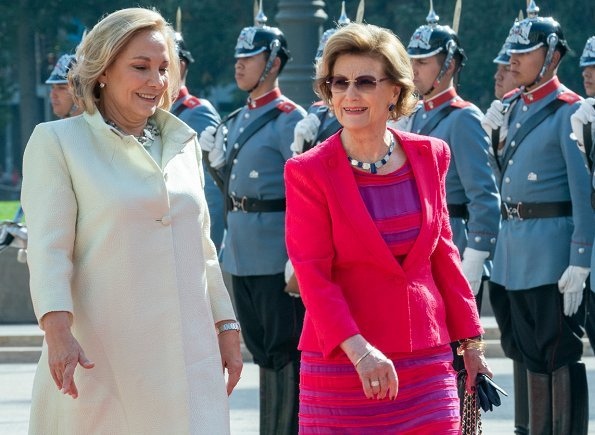 Queen Sonia's vibrant red and purple dress and jacket fit her perfectly! 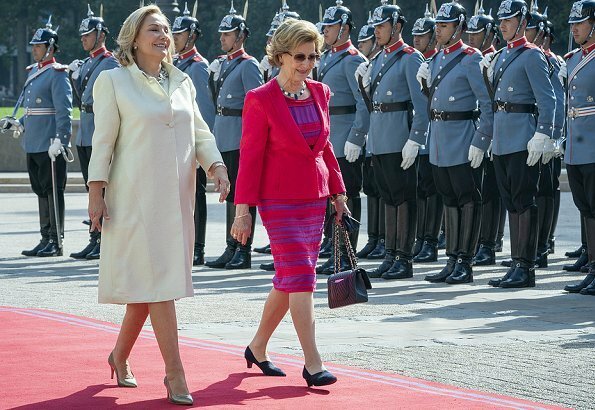 I love her look, for the most part, but probably would have chosen a different color for purse and shoes. She has admirable color-awareness and has fun with unusual combinations, so the choice of black is a bit tame for her, I think. Actually, I think purse and shoes are dark blue which makes sense with the color combo of her outfit. 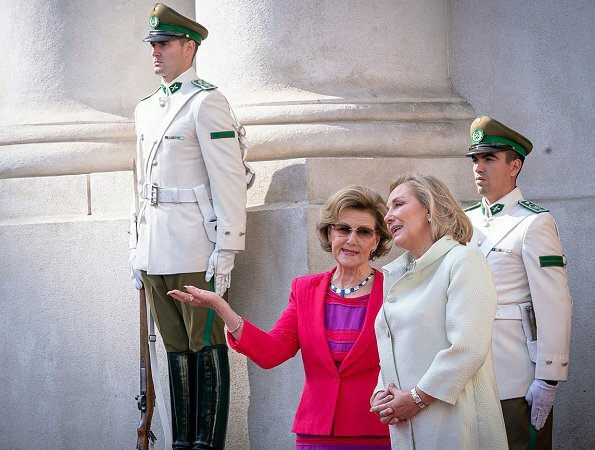 Sonja looks fabulous. Her bright outfit makes me happy. She doesn’t look her age, AT ALL. I agree! 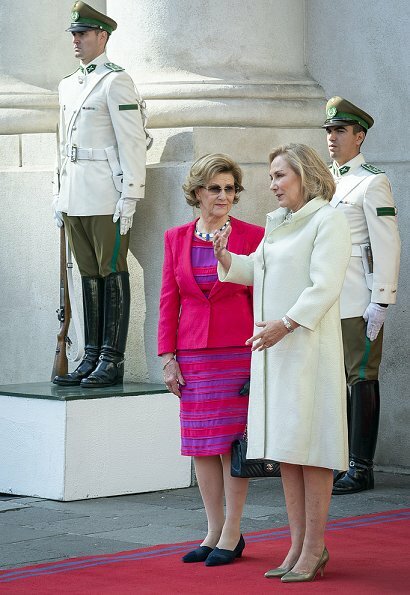 Queen Sonja is very elegant and beautiful. Love her outfit. Sonja has always been physically very active - and she still is - I think that is the main secret behind her youthful appearance. She even seems to have an activity watch on her! She is a great example for everyone. 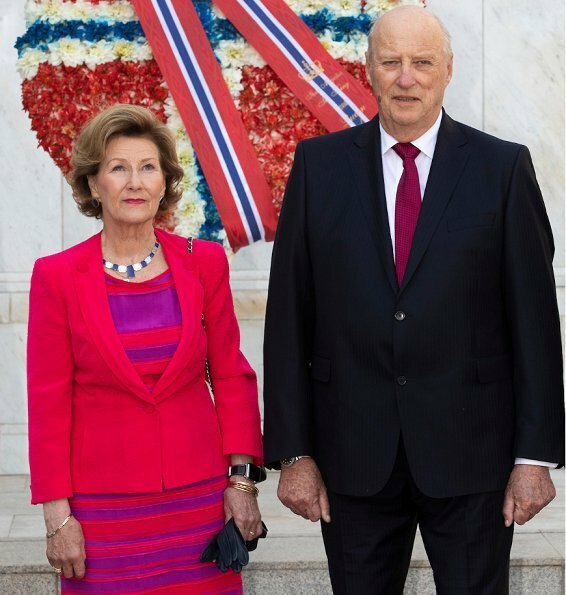 This is a very active Royal Couple. Always nice to see them. Love her outfits.